National arms divide СССР above inscription, circle surrounds all. 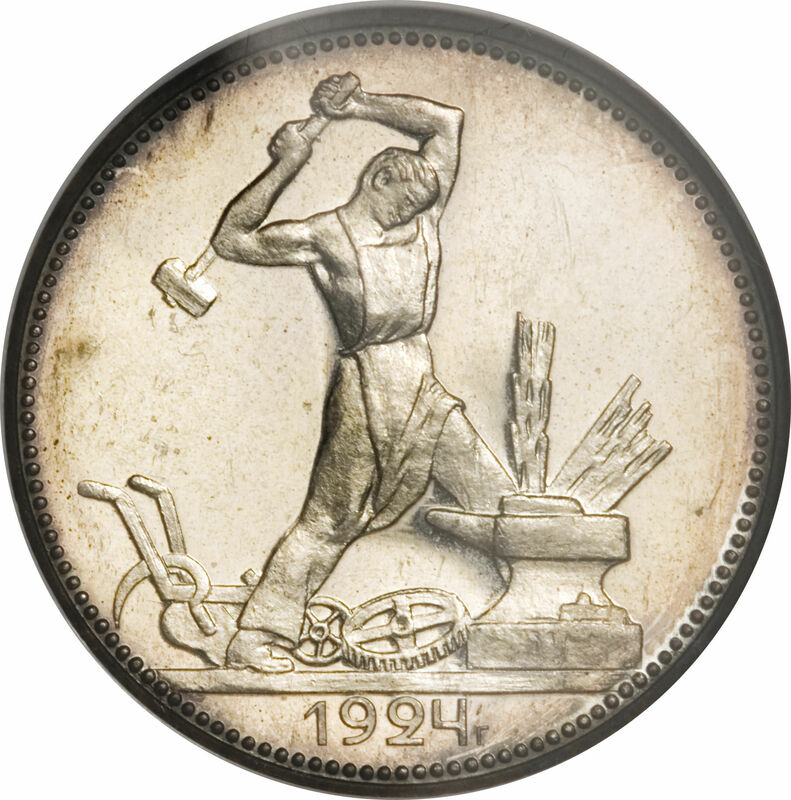 Lettered edge: fine weight of the coin is specified mintmaster initials (can be П∙Л or Т∙Р). 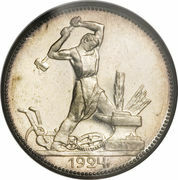 For 1924-dated coins the fine weight is shown both in grams and old Russian units: "чистого серебра 9 грамм (2 з. 10,5 д.) П.Л" and "чистого серебра 9 грамм (2 з. 10,5 д.) Т.Р". 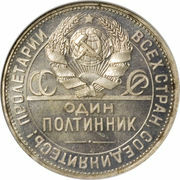 For the coins dated 1925-1927 the fine weight is shown in grams only: "чистого серебра 9 грамм П.Л"
For 1924-dated coins the fine weight is shown both in grams and old Russian units: "чистого серебра 9 грамм (2 з. 10,5 д.) П.Л" and "чистого серебра 9 грамм (2 з. 10,5 д.) Т.Р". 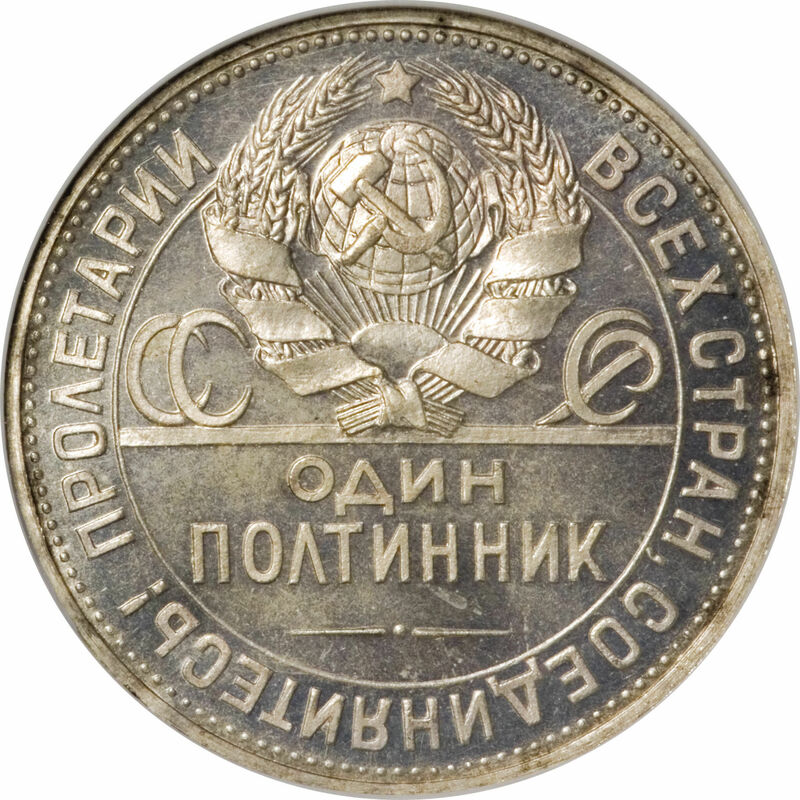 For the coins dated 1925-1927 the fine weight is shown in grams only: "чистого серебра 9 грамм П.Л"
Edge inscription of 1922, the Old Slavic script with a designation of the proportion of pure silver in the zolotniks and dolyas.